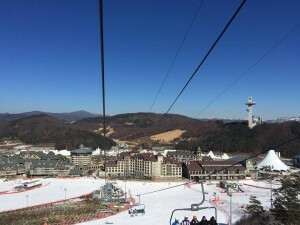 Jeongseon, South Korea – You never get a second chance to make a first impression, and it looks like PyeongChang 2018 is off to a great start with the men’s Audi FIS Ski World Cup events kicking off at the Jeongseon Alpine Center in South Korea this week with plenty of athlete praise, even though there’s almost no natural snow on the ground. This event will serve as the first official Olympic test for all sports in the 2018 Olympic Winter Games program. The U.S. 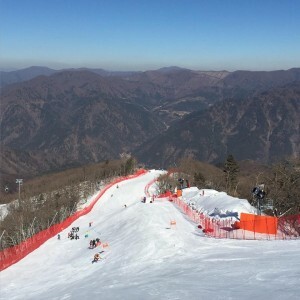 Ski Team men got their first look at the new Olympic downhill course on Wednesday, with a free ski session on the run. Initial reactions were positive from the men on both the course itself and snow quality. 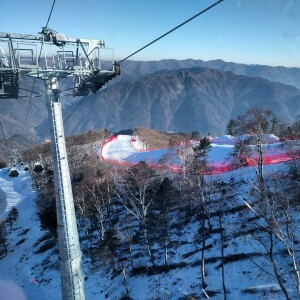 There was much discussion early in the season about whether or not Jeongseon would be ready for the test events, but the organizing committee has done an incredible job of preparing the track for this event. The snow is smooth like butter, and feels a lot like snow the men know and love. “The snow is similar to the Colorado snow that we train on in the fall, so we are comfortable here,” noted Marco Sullivan, of Squaw Valley, Calif.
Not only does the track feature perfectly prepared snow, it also boasts some sweet jumps. And the American Downhillers get stoked on flying. Apparently it didn’t take long for the American Downhillers to feel at home in Korea. Taking an immediate liking to the Jeongseon downhill track, five guys finished in the top 30 in the first of two downhill training runs with Andrew Weibrecht (Lake Placid, N.Y.) and Travis Ganong (Squaw Valley, Calif.) leading the way tied for fourth. Nyman was sixth, Sullivan 12th and Wiley Maple (Aspen, Colo.) 22nd. Norway continued to show off its World Cup dominance with Attacking Viking Kjetil Jansrud finishing with the fastest time. Austria’s Romed Baumann was second, .13 seconds out, and Italy’s Peter Fill third, .35 seconds out. The American Downhillers have had positive things to say about the Korean experience as a whole. The men will run downhill Saturday and super G Sunday. Both events will be live streamed on NBC Sports Live Extra with NBCSN carrying the men’s super G live on Saturday evening U.S. time. 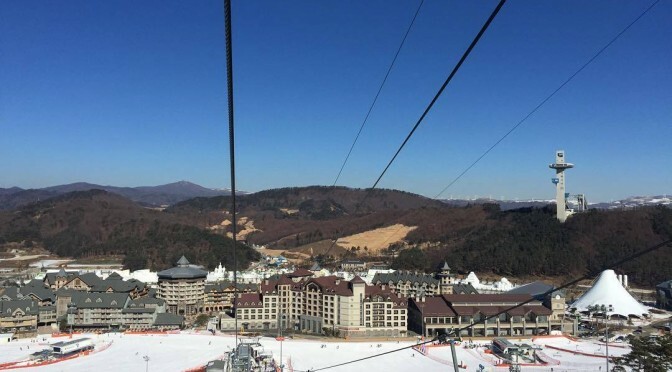 The women will have to opportunity to test out the Jeongseon Alpine Center with Audi FIS Ski World Cup downhill and super G events next season.